Thinking of planning a group trip? Are you thinking about organising an outing for your family, a two-week break in the sun with friends, a few days away for the members of your staff social club or perhaps a special interest trip for your society? Our experienced groups department has extensive knowledge of the UK and continental Europe. We can offer suggestions for a holiday, short break or a day out. If you already know where you want to go, or what you’d like to see and do, we can turn those thoughts and ideas into a fully-formed package that meets your specific requirements. As one of the country’s leading coach tour operators, we have an extensive knowledge of hotels and can help you choose the perfect accommodation to suit your budget. If you want to include a ride on a heritage steam train, spend the day in a theme park, visit an art gallery or museum, climb the tower of a famous cathedral, or go back-stage at a theatre, we can organise it. Our team can organise meal and refreshment stops, and guided tours with an accredited Blue Badge Tourist Guide. If you’re looking for inspiration, have a look at our main holiday brochure. These ‘ready-made’ tours can be taken as a group, and tailored to suit your wishes. As the tour planner, you may benefit from a free place and a cash-back incentive (depending on the number in the group). Last, but certainly not least, Gardiners NMC has BCH Bonding, offering financial peace of mind should we be unable to operate your holiday or trip. To find out more, get in touch with our groups team. We look forward to helping you put together a truly memorable trip. Over many years of organising garden visiting tours I have come to rely on Gardiners NMC Ltd & have never been disappointed. They are always most courteous, calm & efficient enthusiasm throughout the trip planning & organising stages never being put out by any of the hitches along the way----- usually very few. The coaches have always been entirely dependable, immaculate & driven by the most wonderful drivers. Without exception they have always been caring, thoughtful, enthusiastic, unbelievably long-suffering in coping with a coach load of plantaholics---not an easy task ! But most importantly their driving skills have been first class, coping with any number of narrow lanes & coach unfriendly driveways on the hunt for gardens & nurseries with complete equanimity & brilliant competence. Their presence has added enormously to the great enjoyment of our trips. I will always turn to Gardiners NMC Ltd when organising any trip & look forward to being able to do so for many seasons to come. From the planning stages to arriving back home again, Gardiners NMC looked after us every step of the way. We were fully supported in the planning process of our school trip to London and care was taken to ensure that the children would enjoy every aspect of the trip. The choice of hotel and restaurants were superb and chosen carefully to ensure the children would have an enjoyable experience. Our coach driver was fantastic and ensured that we were able to make the most of our trip; transporting us around the city with confidence and ease. The drivers vast knowledge of the city contributed to a stress free trip. I cannot recommend the service highly enough - a gold star service! We have recently returned form our second visit to Holland with Gardiners NMC Ltd. As last year, the organisation, the coach, driver & accommodation were first class! 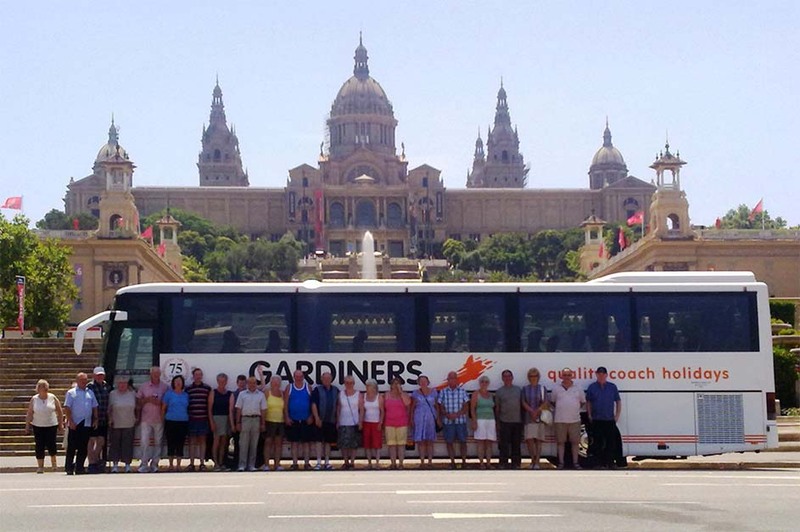 As our holidays are always 10 days or more in duration there is quite a lot involved, what sets Gardiners NMC Ltd apart and what impresses us most is the personal attention we receive, from start to finish Andrew is always on hand to deal with any queries and we’re already looking forward to next years tour! 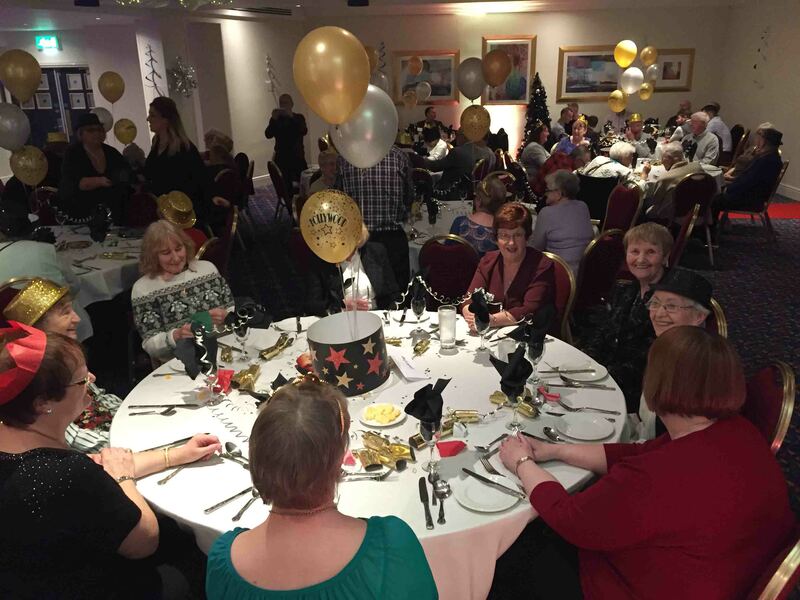 Gardiners NMC Ltd have been organising our groups outings for the last two years now and always provide a professional and courteous service at a competitive price. Our last two excursions have included visits from everything to museums, castles & garden centres and a lovely lunch somewhere on the way home! Everything is timed to perfection and all extras are included in the price, nothing is left to chance! A big thank you to Gardiners NMC Ltd for the excellent service received over the last few years, taking nearly 100 members away for a week twice a year is no easy task but it seems so simple now! All I have to do is give an indication of where we want to go and a list of suggestions and prices are provided for our group to choose from, offering a selection of excellent hotels and interesting excursions, I don’t know how they do it all for a price! We always turn to Gardiners NMC Ltd for our groups outings and they never disappoint, everything is organised for us based on our requirements and every single one is excellent value for money. We cant wait to see what they come up with next! First class - will certainly use again, well organised, great drivers, nice hotels and fantastic food. Very happy group. Gardiners NMC Ltd delivered a memorable 5 days away for our organisation, with all visits booked and paid for all we had to do was turn up. 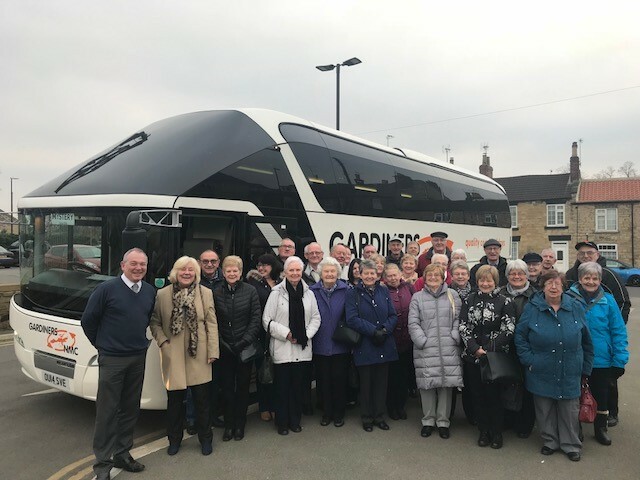 As a committee member of a retirement group, we organise outings and holidays for our members throughout the year and have always found Gardiners NMC Ltd the ideal company to arrange these for us. Our most recent holiday was to the Peak District where our members enjoyed travelling in a clean, comfortable, air conditioned coach and a wonderful, modern hotel with great food set in a fantastic location for our itinerary. Our holiday was organised by Andrew, it was so nice to speak to the same person each time we wanted to enquire about an excursion or make any alterations, nothing was too much trouble for him, he even came to see us in person to finalise the last details which greatly impressed us. On behalf of the group and committee I would like to officially thank Gardiners NMC Ltd for making our holiday a resounding success, we can’t wait to start planning our next holiday! Because it is very important. Our trading Charter forms a key part of our agreement with you and forms the basis of a legally binding contract between you, as the Group Organiser, anyone else in your third party and us. When you make this booking, as the organiser you undertake that you have the authority to accept and do accept, on behalf of your party the terms and conditions which are governed by English law, and the non-exclusive jurisdiction of the English courts. These contract terms and financial guarantees will not apply to any holiday involving any type of flight, instead you will be supplied with the full booking conditions of the ATOL holder arranging your holiday. Your booking agent will have a copy of these conditions or alternatively, you can request one prior to booking your holiday from Gardiners NMC Ltd, 18 Coopies Haugh, Coopies Lane Ind Est, Morpeth, Northumberland NE61 6JN. We welcome you making contact with us in a number of ways. You can write to us or phone us. Whichever way you contact us, the contract is made when your booking is entered on to our reservation system and we issue a confirmation of booking. We will send you the confirmation of your booking within seven working days of receipt of your deposit.. Please check this confirmation very carefully to ensure all the information is correct and tell us immediately of any errors. How is my holiday financially protected? We subscribe to the code of conduct of the bonded coach Holidays group (BCHG) of the confederation of passenger Transport UK. BCHG requires a bond to be taken out to provide protection for your financial reasons, carry out their obligations to their passengers. If the holiday or tour cannot be completed as planned. When do I need to pay for my holiday and how much? At the time of booking you will need to pay a non refundable £200.00 deposit. The balance must be paid in full 6 weeks prior to departure unless otherwise agreed. If you book within 6 weeks of departure, you will need to pay the total holiday cost at the time of booking. If you do not pay the outstanding balance for your holiday on, or before, the date when it is due, we may cancel your booking for your holiday and you will be required to pay any cancellation charges incurred. Can you change the price of a holiday after you have issued the booking confirmation? Yes we can, but only in very limited circumstances. Dues and taxes including charges in VAT or any other government imposed changes. In case of any small variation, an amount equivalent to 2% of the price of your holiday, which excludes insurance premiums and any amendment charges, will be absorbed or retained, for larger variations, this 2% will still be absorbed for increases, but not retained from refunds. If this means that you have to pay an increase of more than 10% of the price of your holiday, you may cancel it and receive a full refund of all monies paid, except for any amendment charges, should you decide to cancel for this reason, you must exercise your right to do so within 14 days from the issue date printed on your final invoice. After we have issued our booking confirmation we will do our best to accommodate any changes you may want to make, but we cannot guarantee to do so. Any changes must be notified to us as soon as possible by the Group Organiser. If we are able to make the changes any additional charge for the facilities requested are incurred by the Group Organiser. Any significant alteration after the balance due date will be treated as a cancellation of the original booking and may be subject to the cancellation charges detailed below. A significant alteration would include a change of departure date, destination / hotel, or number of people travelling. We accept responsibility if the failures in your holiday arrangements or any death or personal injury caused is due to any fault of ours or of our agents or suppliers whilst acting in the course of their employment. We do not accept responsibility if the failure, death or personal injury is not caused by any fault of ours or our agents or suppliers or is caused by you or someone not connected with your holiday arrangements or if failure death or personal injury is due to unusual or unforeseen circumstances which even with all due care, we or our agents or suppliers could not have anticipated or avoided. For claims, which do not involve personal injury, illness or death the most we will have to pay if we are liable to you is (twice) the price the person affected paid for their holiday (not including insurance premiums and amendment charges). We will only have to pay this maximum amount if everything has gone wrong and you will have received no benefit from your holiday. If you or any member of your party is killed, injured or becomes ill as a result of transport by ship, train, or coach any liability which we may have to pay compensation is limited in line with the Athens convention (applies to transport by ship) the Berne convention (applies to transport by rail) and the Geneva convention (applies to transport by road). You can get copies of the relevant convention from us if you ask. You should also note that these conventions might limit or remove the carriers liability to you and the amount which the carrier has to pay you. If we make any payment to you or any member of your party for death, personal injury or illness you will be asked to assign to us or insurers the rights you may have to take against the person or organization responsible for causing the death, personal injury or illness. Our suppliers (for such things as accommodation, or transport providers) have their own booking conditions or conditions of carriage and these conditions are binding between you and the supplier. Some of these conditions may limit or remove the relevant transport providers or other supplier’s liability to you. You can get copies of such conditions from our offices or the offices of the relevant supplier. The Managing Director, Gardiners NMC Ltd, 18 Coopies Haugh, Coopies Lane, Industrial Estate, Morpeth, Northumberland NE61 6JN. In your letter you will need to quote your booking reference number, departure date and the date you completed the holiday report form. If you do not tell us at the earliest opportunity about a problem giving rise to your complaint we cannot take steps to investigate and rectify it. In deciding how to respond to your complaint we will take into account the date you first drew the problem to the attention of our driver / representative or supplier. If I do not agree with your decision can I request arbitration? If we cannot resolve your complaint amicably, you may request that the dispute is referred to an independent arbitration scheme established by the confederation of passenger transport UK (CPT). Full details of this scheme will be provided on request or you can obtain a copy from CPT. This arbitration scheme provides a simple and inexpensive method of arbitration on documents alone with restricted liability on the customer in respect of costs. This scheme does not apply to claims for an amount greater than £1500 per person. There is also a limit of £7500 per booking. Normally there is a time limit of 9 months from the date of return from your holiday within which to request arbitration but in exceptional circumstances the scheme can be used beyond this date. This scheme does not apply to claims that arise mainly in respect of physical injury or illness or the consequences of any illness or injury. Coaches used on our work are modern touring coaches and come with Reclining seats, toilet, forced air or air conditioning and pa systems, on occasion if bookings do not reach the required numbers instead of cancelling a tour we reserve the right to use smaller coaches to carry out our work, should this be the case some of the onboard facilities may vary. In some foreign countries, standards of infrastructure, safety and hygiene may be lower than those to which we are accustomed in the UK. You should therefore exercise greater care for your own protection. Further information can be obtained from your GP who can provide you with the leaflets on health advice for travellers published by the department of health. Some people may be at risk from discomfort or deep vein thrombosis (DVT) if they remain immobile on a journey for a long period of time. If you are planning to undertake a bus or coach journey of more than 3 hours you should consult your doctor if you have ever had DVT, pulmonary embolism, a family history of clotting conditions, cancer or treatment for cancer, stroke heart or lung disease or if you have had major surgery in the past 3 months. We reserve the right to refuse any booking in the absence of a doctor’s certificate confirming that you are fit to travel. During the journey we will provide comfort stops as frequently as possible. During these stops you are encouraged to get off the coach and walk around. Exercise reduces any discomfort, which may be caused by periods of immobility. During any journey you should drink alcohol only in moderation as it leads to dehydration. We want all our customers to have an enjoyable holiday, but you must remember that you are responsible for your behaviour and the effect it may have on others. If you or any member of your party is abusive or disruptive or behaves in a way which in our reasonable opinion, could cause damage or injury to others or affect their enjoyment of their holiday or which could damage property, we have the right after reasonable consideration to terminate your contract with us. If this happens we will have no further obligations or liability to you. The coach driver/representative, ships captain or authorised official of other means of transport is entitled to refuse you boarding if in their reasonable option you are unacceptably under the influence of drink or drugs or you are being violent or disruptive. If you are refused boarding on the outward journey we will regard it as a cancellation by you and we will apply cancellation charges according to the scale. If the refusal is on the return journey we have the right to terminate the contract and will have no further obligations or liability to you. We operate a strict no smoking policy on all our coaches, however we do make frequent comfort stops. The no smoking policy of other carriers and suppliers will vary and will be supplied on request if you contact us. We do not allow pets to taken on our holidays. Registered assistance dogs will normally be accommodated on UK holidays but not on overseas holidays. You are responsible for ensuring that you are at your chosen departure point at the correct time, with the correct documents, we cannot be held liable for any loss or expense suffered by you or your party because of an incorrect passport or late arrival at the departure point. If you are a British citizen travelling outside the United Kingdom you must have a full UK passport valid for a minimum of three months after your scheduled date of return. Non UK citizens must seek passport and visa advice from the consulates of the countries you plan to visit prior to making a booking for one of our holidays. The name on the passport must match the name on the ticket. If someone in your party changes name after the booking is made you must tell us immediately so that we can issue the ticket in the new name. Approximately 2 weeks prior to departure we will send you all the necessary labels so that you receive them in good time for your holiday. Certain travel documents may have to be retained by us and your driver/courier will then issue them to you at the relevant time. If you lose a travel document after it has been issued to you we will require you to meet the direct cost charged by the carrier/supplier for the issue of duplicate or replacement. NMC Tours and Gardiners Travel reserves the right to modify itineraries to conform to requests from the competent authorities in the United Kingdom and any other sovereign state through which the tour will operate. Refunds will not be made for any excursion not taken. Optional excursions may be booked and paid for in resort but these will not form part of the package booked with us. Administration fees to buildings, grounds etc are not included in the price of the holiday unless otherwise stated on the relevant brochure page. Your travel insurance may cover you for some delays. In addition, where you are delayed for more than six hours in any one day we will seek to minimise any discomfort and where possible arrange for refreshments and meals. We can offer comprehensive travel insurance cover provided by Towergate, Chapman & Stevens, all of our staff are ITC compliance trained. We suggest all of our customers take out travel insurance to cover medical and repatriation costs, personal injury loss of baggage and cancellation charges. It is not compulsory in law to have insurance for our tours inside or outside the UK and therefore you do not need to take out travel insurance, but we suggest you should have insurance which is at least as good as or better than the insurance we offer. If you do not have adequate insurance and require our assistance whilst on holiday we reserve the right to reclaim from you any medical, repatriation or other expenses which we may incur on your behalf which would otherwise have been met by insurers. A Special Holiday Travel Insurance Scheme is available for all passengers travelling on our holidays which is arranged with ETI – International Travel Protection (the UK branch of Europäische Reiseverscherung AG) who are Licensed by the Bundesanstalt für Finanzdienstleistungsaufsicht (BAFIN – www.bafin.de) and approved by the Financial Services Authority (FSA – www.fsa.gov.uk) to undertake insurance business in the UK. Should you wish to take advantage of our Holiday Travel Insurance please include the appropriate premium when booking your holiday. This insurance policy will suit the Demands and Needs of an individual or group(where applicable) who have no excluded pre-existing medical conditions, are travelling in countries included within the policy terms and who wish to insure themselves against unforeseen events detailed in the cover section below. Subject to the terms, conditions and maximum specified claim limits. We will not provide you with advice about the suitability of this product for your individual needs but will be happy to provide you with factual information. We summarise below the details of the insurance cover provided which also includes SPECIALTY ASSISTANCE LTD – 24-hour emergency service. The following is a brief summary of the cover available. Full details of Cover, Policy Warranties and Exclusions will be forwarded with your confirmation of booking. In any event you may ask for a specimen copy of the Policy Wording before booking should you wish to examine this in advance. Cancellation £3,500, Missed Departure/Travel Delay £600/£60, Personal Accident £15,000, Medical and other Expenses including Curtailment £2,000,000, Additional Travelling Expenses – United Kingdom £1,500, Medical Inconvenience Benefit £450 (£15 per 24 hours), Personal Property/Loss of Passport £1,500/£200, Personal Liability £2,000,000, Delayed Baggage £100, Legal Expenses £10,000, 14 day Refund Insurance Premium. Cancellation, Curtailment, Holiday Abandonment and Loss of Deposit for holidays up to and including 3 days NIL. For holidays over 3 days Loss of Deposit excess £15.00 each and every loss. For holidays over 3 days excess £50.00 each and every loss for Cancellation, Curtailment and Holiday Abandonment. Medical and Other Expenses, Additional Travelling Expenses – United Kingdom, Personal Property and Money excess £30.00 each and every incident per Insured Person. The excesses above can be reduced to Zero if you decide to take out the excess waiver option. This is available at an additional premium but can only be purchased at the time of booking. Please make sure you advise us that this option is required. hospital day case or in-patient, as any claim arising from this injury or treatment will not be covered. 4) If you are on medication at the time of travel your medical condition is stable and well controlled. You must notify the Issuer of this policy immediately of any of the conditions listed below arising between the date the policy is issued and the time of departure of the trip. We must be informed of any fact, which is likely to influence us in the acceptance, assessment or continuance of this insurance. Failure to do so may invalidate this insurance, leaving you with no right to make a claim. 1) If you have received medical treatment as a hospital day case, inpatient or out-patient during the six months prior to the booking of the trip, you must obtain from a medical practitioner at your cost confirmation that you will be fit enough to take the trip. 2) if you are undergoing medical treatment as a hospital out-patient at the date the final balance of the trip is due to be paid, you obtain a certificate of fitness confirming your ability to travel mist at your cost. YOU ARE NOT COVERED for anything caused directly or indirectly by you suffering from stress, anxiety or depression unless it has been investigated and diagnosed as such by a Consultant specialising in the relevant field, who must confirm in writing at your cost that you are, fit enough to take this trip. We are an Appointed Representative of ITC Compliance Limited who are authorised and regulated by the Financial Conduct Authority. What assistance will you give me if things go wrong when it is not your fault? If you or any members of your party suffer death, illness or injury whilst overseas arising out of an activity which does not form part of your package, travel arrangements or an excursion arranged through us in the UK, we shall at our discretion, offer advice, guidance and assistance. Where legal action is contemplated and you require our assistance, you must obtain our written consent prior to commencement of proceedings. Our consent will be given subject to you undertaking to assign any costs benefit received under any relevant insurance policy to ourselves. We limit the cost of our assistance to you and any member of your party to £5000 per party. Unfortunately, many hotels overseas do not provide adequate facilities for guests with mobility problems or who suffer from other disabilities, if you are planning a holiday overseas or in the UK please notify us before you book if you or any member of your party has special needs or suffers from any disability. We are keen to plan arrangements for your holiday so that special needs and requests can be accommodated as far as possible, however we can never guarantee any special need request dependant on a third party unless confirmed by the third party in writing. If you have a special request, we will do our best to help but save as set out below, we cannot guarantee that it will be fulfilled. Please inform us of your request when you make your booking and ensure that you provide as much detail as possible. If fulfilment of your request is vital to your holiday it must be specifically agreed with us before or at the time when you make your booking. We will comply with any special request that has been specifically agreed. General confirmation that a special request has been noted or passed to our tour supplier is not confirmation that your request will be met. If you’re special request relates to a special diet we will contact hotel or hotels on your holiday, but please note that some hotels may not have the facilities to cope with special diets and we cannot be held liable to their failure to do so unless we have specifically confirmed to you that a special diet will be catered for. For passengers with mobility problems we are happy to carry fold away walking aids and wheelchairs. We can only carry lightweight 3 wheeler electric mobility scooters, this is subject to availability, space and at the management’s discretion. The scooter must be demountable and due to health & safety concerns the owner / travelling companion must be able to load and unload the scooter from the coach without assistance from the driver. As an alternative you may be able to hire a scooter in resort. We do not include gratuities in the price of your holiday, should you feel that you have had a level of service that deserves rewarding please feel free to do this in person with your driver or crew member. In order to process your booking and to ensure that your travel arrangements run smoothly and meet your requirements we and your travel agent, need to use the information you provide such as name address any special needs/dietary requirements etc. We take full responsibility for ensuring that proper measures are in place to protect your information. We must pass the information onto the relevant suppliers on your travel arrangements such as hotels, transport companies etc. The Information may also be supplied to security or credit checking companies, public authorities such as customs / immigration if required by them or as required by law. Additionally, where your holiday is outside the European Economic area (EEA), controls on the data protection in your destination may not be strong as the legal requirements in this country. We will not pass information on to any person who is not responsible for part of your travel arrangements. This applies to any sensitive information that you give to us such as details of any disabilities or dietary/religious requirements. If we cannot pass this information to the relevant suppliers, whether in the EEA or not, we cannot provide your booking. In making this booking, you consent to this information being passed on to the relevant persons. You are entitled to a copy of your information held by us. If you would like to see this, please contact us. We retain your full contact details and other information in secure files and electronic storage facilities. We may use this information to contact you by email, telephone or electronic means. When booking a holiday with ourselves you are accepting all of the aforementioned terms and conditions. E & OE: Prices are correct at time of going to press.